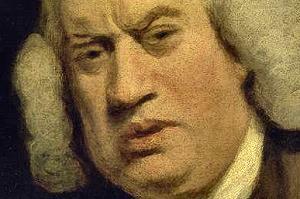 A man who arguably had one of the greatest effects on the English language, Dr Samuel Johnson was born 1709 in Staffordshire. Credited with producing the first definitive English language dictionary, a feat which took him nine years, he was also a prolific essayist and poet. 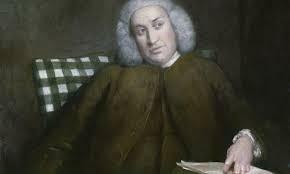 Samuel Johnson suffered various ailments as a youth, most importantly scrofula which left him with scars on his body and over his face. He was an intelligent child, able to learn passages from a hymn book at the age of three. 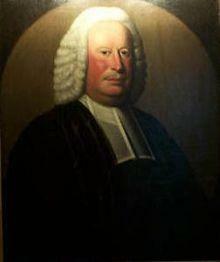 He attended a grammar school in Lichfield and proved to be adept at languages such as Latin. By the age of 16 he was already writing poetry and working on translations. He started college at Oxford but funds were short and, after just over a year, he was forced to leave and returned home. Not having a degree made it difficult for him to work as a teacher but he eventually found a position at a school in Market Bosworth. 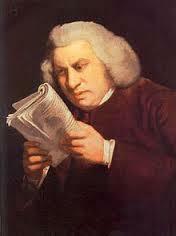 That didn’t last long and he turned to writing translations and in 1735 he married widow Elizabeth Porter. 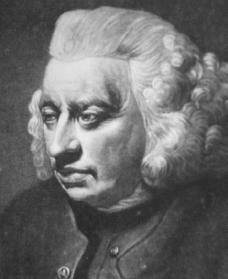 In 1737, he moved to London and his wife joined him a short while later. After some time living in poverty, he found a position writing for The Gentleman’s Magazine. 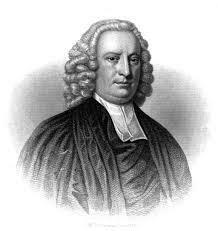 In 1738 he published his first poem, London, describing the place as a den of iniquity, a hive of crime and poverty. 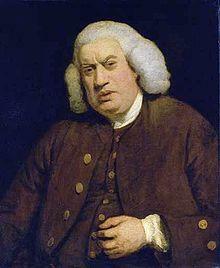 It would be a long fifteen years before Samuel Johnson admitted to publishing the work. 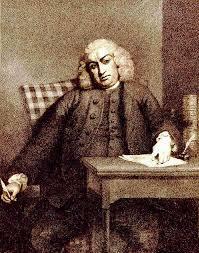 It wasn’t until 1746 that his luck began to change when he was asked to work on the Dictionary of the English Language. 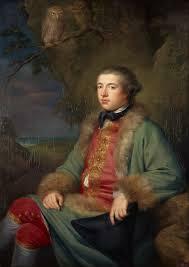 He was paid the princely sum of 1,500 guineas and it took him nearly a decade to complete. It became the definitive English dictionary for the next 150 years until the Oxford edition came out in 1928. Whilst he worked on the dictionary, he also completed a wide range of essays and poems that were published in his own magazine, The Rambler, a series that became increasingly popular as time went on and was reprinted several times. 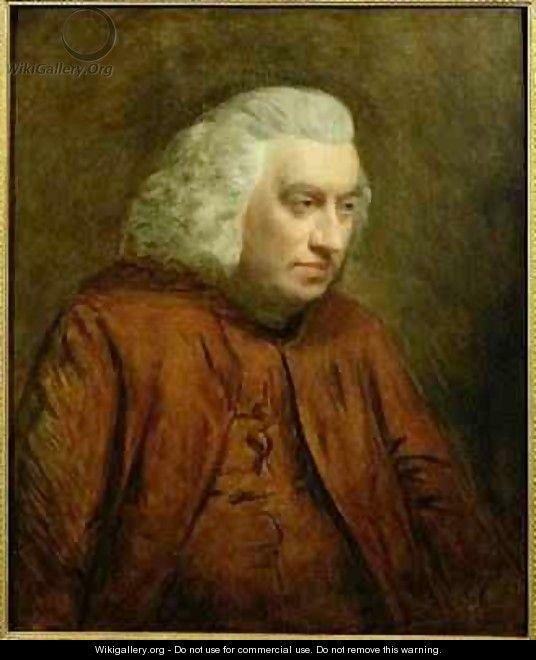 In 1749 he wrote probably his most well-known poem The Vanity of Human Wishes which explores the philosophical issues of the time and is an adaptation of an earlier work by Juvenal. 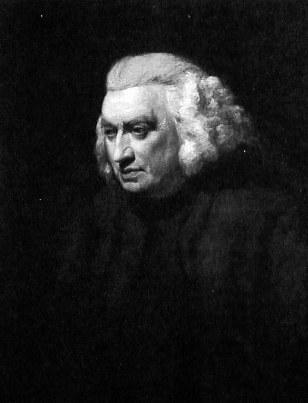 In 1756, still living largely in poverty, Samuel Johnson was arrested for debts and had to be bailed out by publisher Samuel Richardson. On his release, he started working on The Literary Magazine and began writing a new version of Shakespeare’s plays with revised annotations, a job that took him another seven years. His money worries were solved when he was awarded a pension of £300 for his work on the dictionary, which allowed him to live in relative comfort. He continued to write prolifically over the next 22 years, producing essays and pamphlets that expressed his Tory political beliefs, as well as working on The Lives of the English Poets. By the 1780s he was suffering from poor circulation and, 1783, had a stroke. He was delirious for most of his last days and in December 1784 fell into a coma and died shortly after. He was buried at Westminster Abbey.